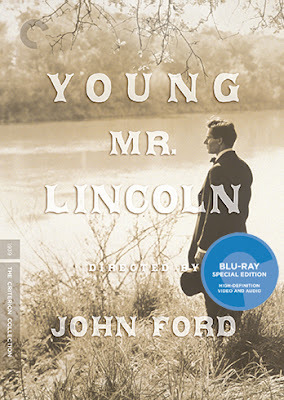 Sergei Eisenstein once wrote that if he could be granted one wish to have directed any film, he would have chosen John Ford's Young Mr. Lincoln (1939). Eisenstein considered the film a perfect marriage of form and content, where the montage, cinematography, music, and performance came together to create a stirring representation of its subject. Indeed, Ford employs a sparse, unassuming style in his tale of a young, plainspoken Illinois lawyer, never drawing attention itself, rather serving to focus on the man himself. Much like Lincoln, Ford's film plays its cards close to the vest, seemingly unadorned and modest, yet packing an immense intellect and sly emotional power. 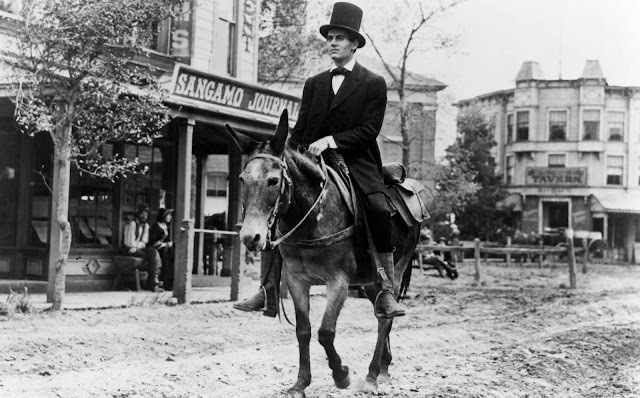 Set years before the famous Lincoln/Douglas debates, and long before he became president, Young Mr. Lincoln is a fictionalized account of a murder trial, with Henry Fonda's Lincoln as a kind of prototypical Atticus Finch, a quiet hero standing up for two young men unjustly accused of killing a man who attacked them. The film is primarily a courtroom drama, one in which Lincoln charms the room with slyly cutting remarks against his opponent. He's a tall, ungainly man, whose humble demeanor belies a razor sharp intellect whirring beneath the surface. Ford also tweaks the myth of "Honest Abe," showing Lincoln blithely cheating in a game of tug-of-war, in which he jumps in to help the underdog team by tying their rope to a wagon. Lincoln was a man of strong moral fiber, but he wasn't above resorting to less than scrupulous tactics as long as justice was done. It would make a fascinating double feature with Steven Spielberg's Lincoln, showcasing the man at the beginning and the end, Lincoln before the legend, and Lincoln after. Fonda's Lincoln has not yet become the historical figure we all know. He's real, down to earth, grounded in moral certitude, yet searching for the direction he will take. Ford hints at Lincoln's future, most explicitly in the portentous final shot of the future president walking into a storm. His camera admires him without exalting him, placing him alone, apart from his surroundings, even from lower angles so as to accentuate his height. Clearly this is a great man, but we don't know it yet, and neither does he. That's the beauty of Young Mr. Lincoln; it captures greatness in transition. And while the incident that gives the film its plot never actually happened, it exudes the essence of a man finding the compass that will guide him for the rest of his life. As Eisenstein pointed out, Ford would go on to make grander, greater films. But none were quite so discreetly powerful as Young Mr. Lincoln. It's one of his most assured, accomplished works, an expertly crafted slice of Americana that portrays our nation, not necessarily as it is or was, but as it was always meant to be. YOUNG MR. LINCOLN | Directed by John Ford | Stars Henry Fonda, Alice Brady, Marjorie Weaver, Arleen Whelan, Eddie Collins, Pauline Moore | Now available on Blu-Ray from The Criterion Collection.